Our New Sports Extension is Now Open! Building work on our new sports extension started in the summer of 2017 and was completed in May 2018. No one approaching the school from Victoria Road can fail to see the stunning transformation of the exterior wall with its huge aluminium sporting figures and stainless-steel lettering. 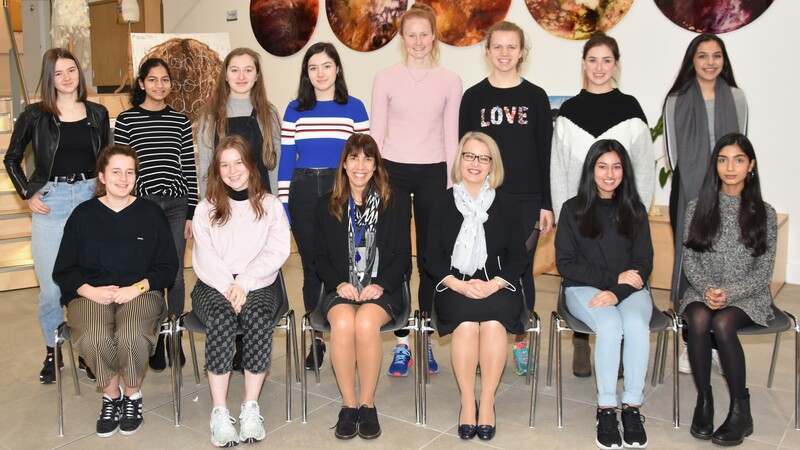 The new facilities allow the girls to have more choice and space to encourage greater participation and enjoyment in extra-curricular sport and exercise. Inside, the new building is light and airy with some beautiful design features and a sports club feeling. The ground floor comprises a dedicated reception area, smart new changing rooms, lockers and the PE office. Upstairs there is a Mind and Body Studio, intended to be a multi-use space for activities such as dance, martial arts and yoga, and an extensive Fitness Suite packed with state-of-the-art equipment. The Fitness Suite can accommodate a whole class PE lesson and can be used for training and conditioning teams and elite athletes. 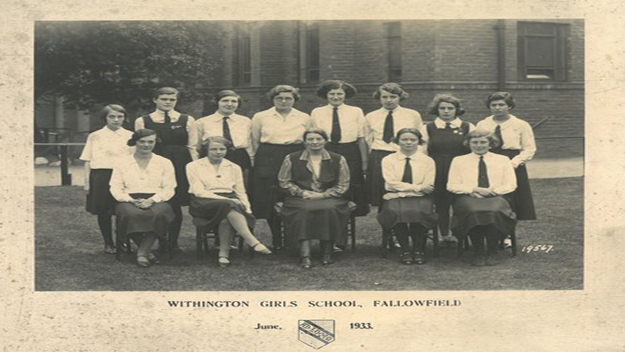 In addition, the existing Sports Hall has been upgraded acoustically and the girls now have direct access to the playing fields from the changing rooms. Visitors and parents can now benefit from improved hospitality and trusted community groups can use the facilities outside school hours. 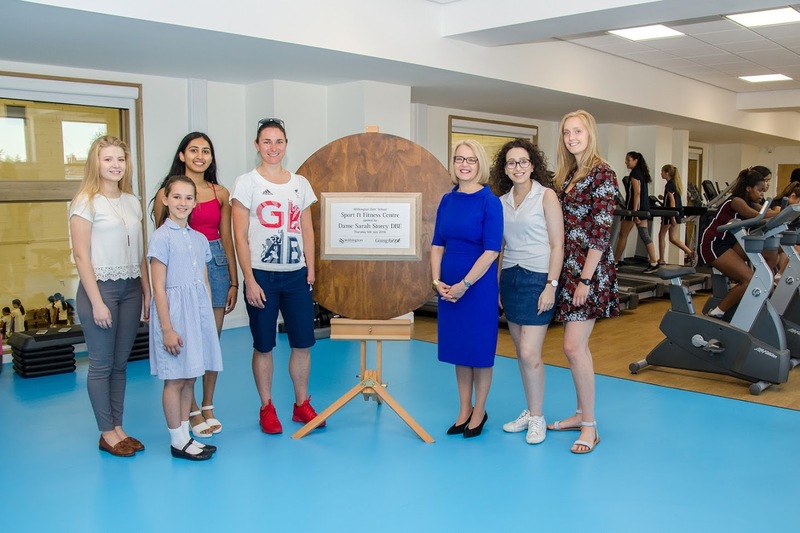 The new building was officially opened by Dame Sarah Storey on 5th July 2018. 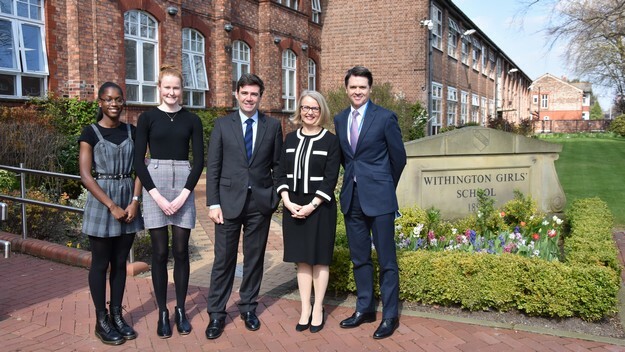 We are proud of these new sporting facilities, which will take sport to the next level and help encourage a healthy attitude towards exercise amongst our pupils, further strengthening Withington’s strong sporting tradition. To see photos of the new Sports Centre, click here.